Slovenian Educational and Career Fair Informativa, which was held on 25 and 26 January at the Ljubljana Exhibition and Convention Centre, brought together educational institutions, scholarship providers, employers and students, and highlighted an array of learning and employment opportunities offered by ESF-supported programmes. The Government Office for Development and European Cohesion Policy, the Public Scholarship, Development, Disability and Maintenance Fund of the Republic of Slovenia, the Employment Service of Slovenia, the Ministry of Public Administration, the Ministry of Labour, Family, Social Affairs and Equal Opportunities and the Institute of the Republic of Slovenia for Vocational Education and Training participated in the Fair with a joint booth featuring a catchy question ‘’What does the European Social Fund do for young people?’’ to show young people that there were countless opportunities for them to pursue education and career or tackle entrepreneurial challenges. Besides gaining valuable first-hand information on programmes and opportunities, the young also got to learn about the different careers that would shape our future, explored scholarship opportunities, and talked to students with a study abroad experience and other interesting guests. Thus, Matej Cankar, Ad Futura scholarship recipient and visiting student at the Memorial Hermann Hospital, Heart and Vascular Institute - Center for advanced heart failure, Texas, US, Maša Urbančič who studied at the University of Edinburgh, UK, Nuša Crnkovič, former student of the Maastricht University, the Netherlands, and Maša Mori, former student of the Iuav University of Venice, Italy all shared the ups and downs of their life-changing experience of studying abroad, while Yaser Ghafoori from Afghanistan, recipient of the Ad Futura scholarship for a three-year doctoral programme at the Faculty of Civil and Geodetic Engineering, Slovenia explained what it was like to study in Slovenia. The visitors could try themselves in a safe-cracking challenge with the help of mentors and pupils of Želimlje Gymnasium and Nova Gorica Gymnasium. They could also put on virtual reality glasses so as to be able to take a trip to space. The glasses were designed at the Centre of Space Technologies Herman Potočnik Noordung which offers a number of cultural and educational activities targeting young people and which also received funding from the EU. The Employment Service of Slovenia organised creative workshops which took young people through some of the active labour market policy programmes, i.e. The Where and the How programme, Project Learning for Young Adults and Eures, and gave them tips on smart use of social media for a successful job hunt. The young also discussed ways to improve their self-presentation skills and master a job interview. They learned about fast changes in the world of work and which jobs would be highly sought after in the future. They could also test how well they knew the e-services provided by the Ministry of Public Administration. The bartender – barista job presentation aroused enormous interest among the young who followed a latte art workshop and learned the fundamentals of latte art and how to make a perfect cup of coffee. 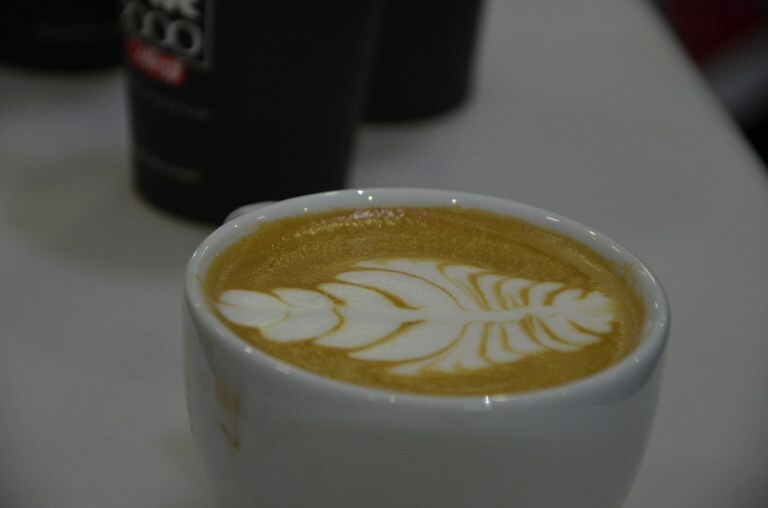 As many as 850 coffee drinks were made by experienced baristas in just two days. Topespresso is the first official provider of the barista training program in Slovenia and is the only organisation in Slovenia licensed to grant the international certification ‘’latte art grading system’’. Hands-on experience is becoming increasingly important. The representatives of the Public Scholarship, Development, Disability and Maintenance Fund of the Republic of Slovenia showcased several ESF-funded projects that support young people (Creative Path to Knowledge, Študentski inovativni projekti za družbeno korist (Student Innovative Projects for Social Benefit) and Povezava sistema poklicnega in strokovnega izobraževanja s potrebami trga dela (Link between Vocational Education and Training System and Labour Market Needs)) in gaining work experience, competencies and skills that will be sought after by potential employers later on, and empowering them to take a proactive approach to planning their career path or creating their own workplace. Students and their mentors who participated in the Creative Path to Knowledge programme shared their experience and highlighted the pros of being involved in ESF-funded projects. A number of projects were showcased at the Fair, e.g. ‘’Protecting the health and well-being of exotic animals in symbiosis with people’’ – Veterinary Faculty, University of Ljubljana, ‘’Development of a competency model in the company DHL Global Forwarding, d.o.o.’’ - Faculty of Organisational Sciences, University of Maribor, ‘’Click to Art’’ – Faculty of Arts, University of Maribor; students from the Ljubljana Higher School of Applied Sciences explained how they produced a creative environment to creatively communicate the importance of healthy eating habits using visual language, while students from the Ljubljana Faculty of Health Sciences presented their project which aimed to encourage people to bring out of date first aid kits and supplies to the national automobile association AMZS premises so that some of the supplies could be repurposed (e.g. first aid training). Several projects were also showcased under the Student Innovative Projects for Social Benefit programme: e.g. ‘’Corporate identity’’ – Faculty of Design, University of Primorska, ‘’Good posture in children’’ - Alma Mater Europaea-ECM, ‘’Contemporary practices of linen weaving, sock knitting and blue-dyeing in the Tržič area’’ – Faculty of Natural Sciences and Engineering, University of Ljubljana, ‘’Green textiles’’ – Faculty of Mechanical Engineering, University of Maribor. Representatives of the Škofja Loka School Centre and the company Polycom d.o.o. explained how gaining practical experience through apprenticeship training could be enhanced, while a representative of the company Admiral, d.o.o. told how their company designed and ran an apprenticeship programme which brought significant benefits to the company and staff and grew to be identified as a good practice case. Apprenticeship programmes are implemented under the On-the-Job training programme which is funded by the EU. The Competence Centres for Human Resources Development programme highlighted the importance of lifelong learning. Speakers from various Slovenian companies shared their insights on what some of today’s jobs will look like in a few years’ time. What do experts in materials and metallurgical industry do today and what skills will they need in the future (Impol, d. o. o.)? The speakers also touched on the jobs of electrical engineer (BSH Hišni aparati, d. o. o. ), software developer in a telecommunications company (Aviat, d. o. o. ), IT job – e-commerce and digital services in a company that develops smart (connected) home appliances (Gorenje, d. d.), electronics technician (Odelo Slovenija, d. o. o. ), product developer responsible for work process optimisation and roll-out of lean management (Elvez, d. o. o. ), security technician, control centre operator and electrical engineer (Varnost Vič, d. d.).